Anxiety is defined as feelings of overwhelming uneasiness, apprehension, or worry, affecting a woman's quality of life. Unfortunately, it is a common symptom of perimenopause, another term for the transition before menopause. Continue reading to learn more about anxiety during perimenopause and menopause, including causes, symptoms, and treatment options, so that you have the tools necessary to overcome it once and for all. 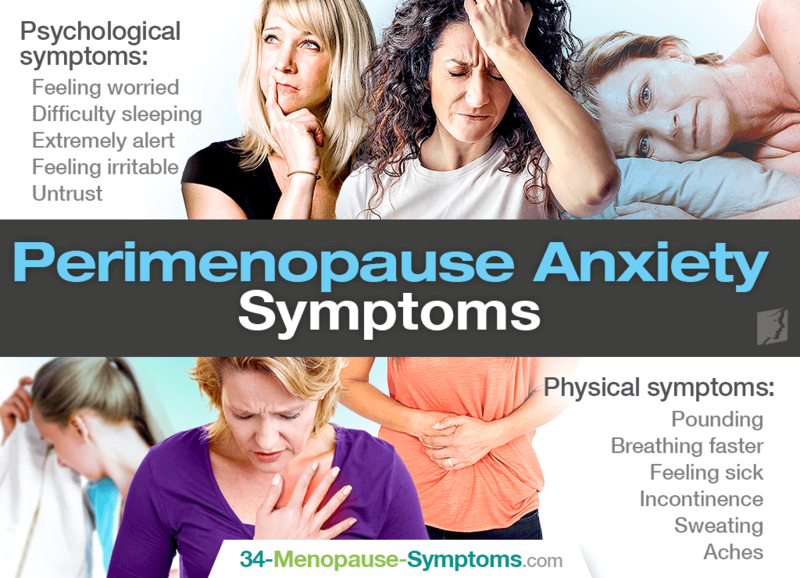 The causes of anxiety during menopause normally trace back to the hormonal fluctuations taking place in women's bodies as their reproductive years come to an end. Estrogen is the principal hormone in charge of the brain's regulation of mood and emotions. With its drop, neurotransmitter levels are disturbed, thus causing mental health issues, such as anxiety, irritability, mood swings, depressed mood, and more. Women going through menopause can also experience a range of other symptoms due to hormonal imbalance, such as hot flashes, night sweats, and vaginal dryness, among others. What Can Be Done about Anxiety during Menopause? First off, pinpoint what might be aggravating your anxiety during perimenopause. Stress as well as difficulties or conflicts at work, with friends, at home, or with a partner can trigger anxiety during such a period of hormonal flux. Also, it is important to talk to someone you can trust about how you are feeling and possible steps to take. This someone could be a good friend, family member, partner, community leader, or a therapist. Furthermore, consider participating in activities to release your anxiety in a healthy way. This could be running or walking, practicing yoga, drawing, dancing, gardening, or whatever helps release pent-up emotions. Nevertheless, the best way to resolve anxiety during menopause is to treat the underlying cause of hormonal imbalance. There are a variety of natural and effective anxiety treatments geared to do so. Click on the previous link to see how.